a group of like-minded women who meet for company, craft work, coffee and chat. 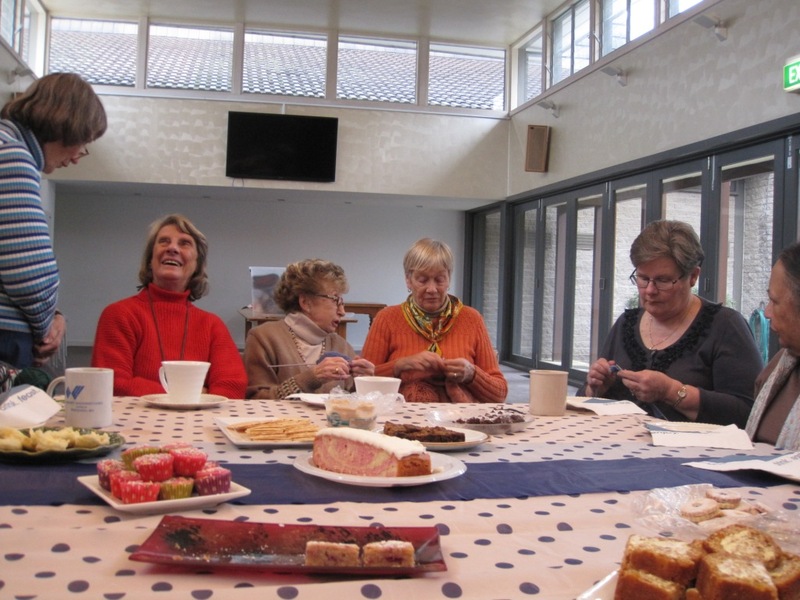 Come along, bring your craft work (knitting, crochet, embroidery, card making – whatever you enjoy) and join them. You can come for as long as you want – there is no obligation to stay for the whole time. 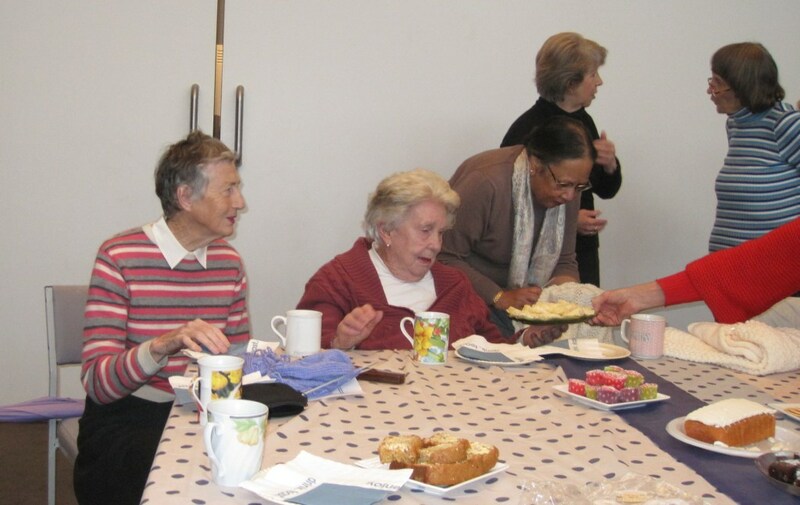 If you wish to stay for lunch, bring a small plate of food to share. Joan West has a collection of wool available to knit for charity if you would like to be part of that. She also has some suggested patterns. For further information, contact Joan West via the Parish Office. 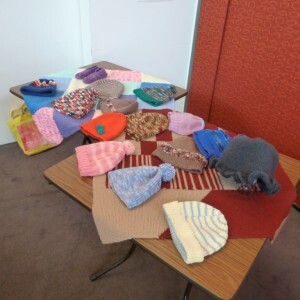 Some of the items the group has created. 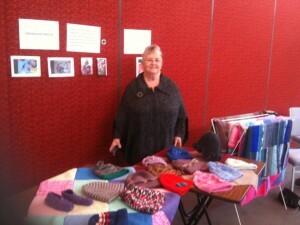 Joan West manning the stall.